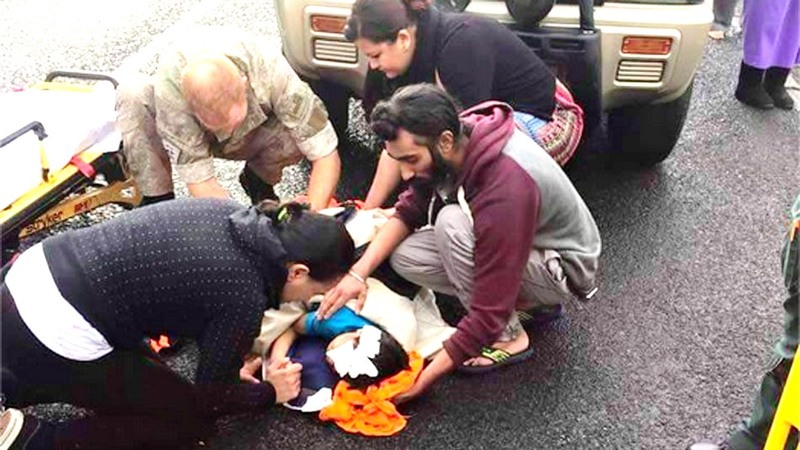 A Sikh man broke strict religious protocol on Friday and removed his turban to help a child who’d been hit by a car outside his home in Auckland. Harman Singh, 22, saw that the 5-year-old boy’s head was bleeding and acted immediately, removing his turban despite the fact that his religion prohibits him to do so in public. In taking this immediate action, Harman's intention was to provide immediate help to save the child's life and his thoughts were focused on what he could do to achieve that. Looking back at this incident, I wondered what came first - the thought of how to save the child or the intention of saving the child. The Chicken and Egg Dilemma is seen in many situations in life, and one of the things that many intellectuals and thought leaders ask is, " Does thought follow intent or does intent comes first followed by thought?" For either of the cases, I have a question - How does the intent get formed? If that is clear, the earlier question will perhaps be easier to answer. The dictionary meaning of 'Intent' or 'Intention' is " the thing that you plan to do or achieve". Now, how can you plan to achieve something if you have not even thought about the same? In other words, only after a thought comes to your mind can you create a feeling which tells you, "this looks good, I am gonna plan on this whenever I can". Once you feel this, the thought stays fresher and longer in your mind, like how data stays in the RAM for quick application and usage. Now that we have figured out that the thought comes first, we need to determine how does intent get generated. By our Experiences - We are constantly a product of our experiences, so if we have had a good experience of a person, place or a thing, we will form an opinion of the same. So whenever any thought comes to our mind pertaining to that person/place or a thing, and we wish to take action on it, the intent will get formed immediately, in our subconscious mind. A girl who is molested at a young age will always have a cautious approach whenever she is in close proximity of another person later in life, and her intention will be to avoid getting close to the person to avoid getting hurt. By our Instinct - Generations of mankind have built in certain codes in our genes which activate our response mechanism when we are faced with a similar situation or when we reach a certain age. The reflex thoughts that are triggered follow a pattern and led to a particular intent being formed. A Gurkha warrior in a battle has only one intention - to get into close combat with the enemy and use his Khukri to kill him, like his predecessors have done so. By our Opinions and Judgments - We continuously form opinions and judge others based on impressions and experiences. These get stuck in our subconscious mind. Whenever a thought about the concerned person occurs, these opinions and judgments then become carriers of the thought to guide us towards the intent, and if we allow the process to carry on automatically, the resulting actions will also occur likewise. So What is a Good Intent and what is a Bad Intent? An intent is termed good or bad by the direction it gives to the thought. A good intent is sure to take a thought towards an action which is well meaning and aimed towards positive results. A bad intent will do it otherwise, leading to an action with negative consequences. The obstacles to good intent are ego, jealousy, anger, greed and lust. Does all intent lead to action? No. For an intent to lead to action, there has to be a will and finally a decision taken to act. Many people are weak-willed and do not have the confidence or the courage to take their thoughts towards actions. And even after people are willing, they stop short of taking action owing to fear that grips them - it could be fear of consequences, fear of failure, and fear of the unknown. Do we act without Intent? Yes, we do. Just like there are response mechanisms which are coded in our being , there are also those decisions that are dictated by the nature of our being and the sum total of our past experiences and insights. Harman's example above is one where he instinctively knew that he must do something immediately to save the child and therefore the intent pre-existed even before he faced the situation. This, in my opinion , is what is Mindfulness - being alive to the moment and using all your wisdom drawn from your experiences to act spontaneously.